In the information age, there are always cases of a data deluge which must be sifted and cleaned before being utilised. This leads to wastage of valuable time which could be better utilized for ideation and creation instead. Scrum is a solution to this problem which integrates flexibility to a work environment and allows a team to make changes quickly and accurately while course-correcting in accordance with agile methodologies. This framework has been seen to work quite effectively in complex work environments and has become the norm in the modern data and information age. Industries in the modern era demand excellence in deliverables with very small turnaround times. Organizations not following an agile methodology can find it hard to stay viable, which is why the Certified Scrum Master training in Kolkata is designed to help enterprises do exactly that. Get a different and unique view into the Scrum environment to understand its various nuances and applications in everyday business activities and deliverables. 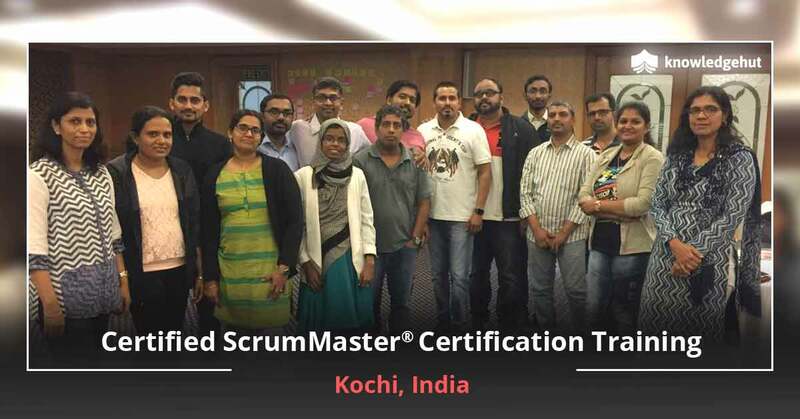 The CSM certification in Kolkata provides a simple overview to the participants whilst ensuring topics are covered in adequate detail thereby helping them evolve into Certified Scrum Masters. According to a report released by Scrum Alliance, the number of Certified Scrum Masters have increased to nearly 250,000 in the last few years, which is a massive growth in the space. Scrum, if leveraged effectively can do away with dysfunctions and improve team workflows in an agile manner which results in deliverables of the highest possible standards. 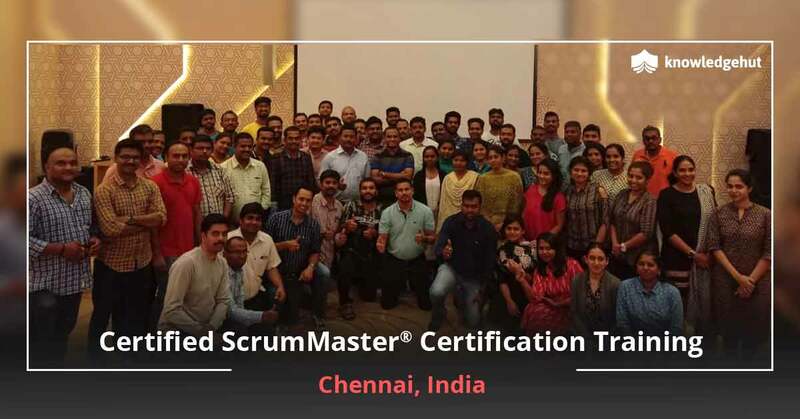 Professional credibility- The Scrum Master training in Kolkata will enable you to integrate into any team seamlessly which in turn will be a huge benefit to the hiring manager. Dependency: Increase your dependency in a team by acquiring cross-functional skills and competencies. Salary- Improve your worth in the industry where Certified Scrum Masters have the potential to earn upwards of $100k USD. Job search- Certify and arm yourself with the most updated skill-sets and gain an upper hand across employment opportunities. Professional growth- Pick up new skills which ensure steady and sustainable growth in your career. Job essentials- With the ability to learn, un-learn and skill up whenever required with rapidity and flexibility, the organization can fully leverage your expertise across departments. Filling skills gaps- With the CSM training in Kolkata, you will be able to gain skills which can be leveraged to help escalate and improve team performance to deliver high-grade products. Increased engagement - The Certified Scrum Master certification training in Kolkata will enable you to engage with the key-decision makers by providing valid inputs that would help reduce turnaround time. Continuous improvement - The ROI on any Scrum platform is only when an active member is self-motivated to continually upgrade the system to drive higher outputs - for oneself and for the organisation as a whole. As defined by the Scrum Alliance, a Certified ScrumMaster® is an individual who has a thorough understanding of the Scrum terminology, practices, and principles that will enable him/her to fulfill the role of a ScrumMaster effectively. What are the most important skills that a Scrum Master should have? Adaptability: This is the core skill for a Scrum Master. Scrum Master should be able to adapt to the changes happening. Facilitation ability: Scrum Master promotes the Scrum events for the team members and facilitates and smoothens processes. Problem-solving: This skill will help the Scrum Master to handle various complex situations. Coaching: Every Scrum Master should have the ability to guide the Team members and coach them to follow all the principles of Scrum. Scrum is a popular framework that focuses on the teamwork, communications, and speed to deliver the complex projects. As per the Mckinsey report based on a survey conducted in 5,400 IT companies, they have consistently overrun the budget by 45% due to lack of streamlining of processes. A CSM certification declares you as an expert in Scrum who is capable of avoiding the shortfalls like projects overrun and increasing the chances of project completion, successfully within designated time. What are the different Scrum Master Certifications available? How is Scrum Alliance different from other certifying bodies? The renowned Agile membership and certification organization for professionals, Scrum Alliance, offers certifications for professionals who wish to become proficient in Scrum. The certifying body believes in having a high level of personal interaction to understand Scrum. The newly designed course model fosters increased productivity, collaboration, and success among the team members. Membership of the Scrum Alliance community gives you a platform to progress on your Agile journey, and lets you connect with other Scrum practitioners. It aids your future growth through certification, knowledge sharing, and community support, which is very rare in the IT domain. There is no online/virtual course for CSM. Scrum Alliance strongly believes that the Scrum understanding requires a personal interaction and mentorship which is not possible in a virtual/online environment. With this 2-year membership with Scrum Alliance, Certified ScrumMasters can spread their identity to the various local user groups, online social networks, getting access to deep discounts on gatherings, and additional member-only privileges. Moreover, CSMs can use a specially designed logo with their credentials. Will new job placement opportunities be available to me in Kolkata after ScrumMaster training? Job opportunities are continuously increasing in number which in turn is raising the demand for professional and skilled Scrum Masters. Hiring Certified ScrumMasters in the Agile organizations will make sure that the team is properly implementing Scrum. 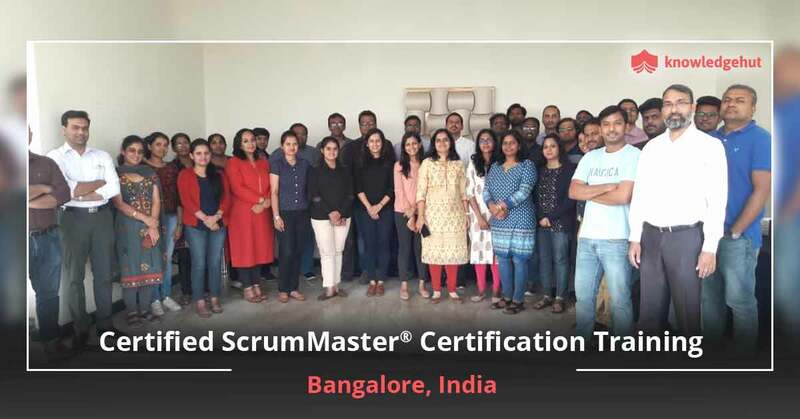 Obtaining the Certified Scrum Master (CSM) training will give you the extra edge in your job search and help you to get a high-paying job that will set you up to go in a new direction on your Agile journey. Agile has benefitted numerous organisations and companies in the last 15 years. This has led to an increased demand for Scrum Masters as more companies are hiring them, thereby creating greater job opportunities. 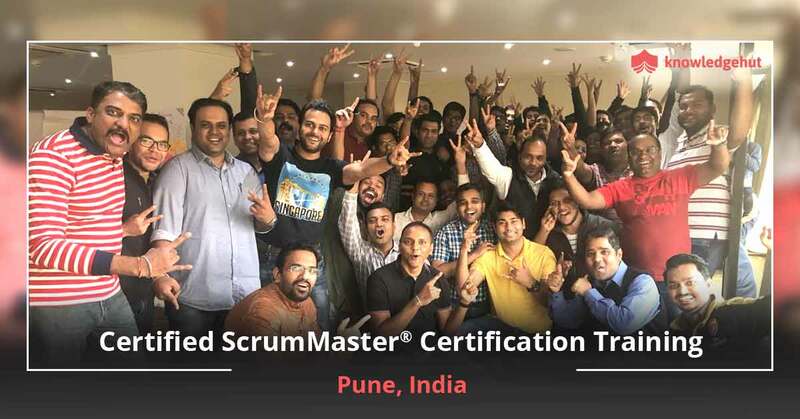 Once you earn a CSM certification and have a year of experience as a Scrum implementor, the next step you can achieve is your Advanced Certified ScrumMaster (A-CSM℠) certification. What are the different levels of certifications after CSM®? Introductory course for those wishing to become a Scrum Master or play a role as a Scrum team member. Advanced course for those who have work experience as a Scrum Master. Pinnacle/Expert-level course for individuals wishing to build mastery in the Scrum Master role. The Certified ScrumMaster® training offers training in the fundamentals essential for Scrum team members or an individual professional in Scrum. What are the prerequisites to attend the CSM certification training in Kolkata? Anyone interested in a CSM course can attend this training. In addition to this, a degree of course completion by our Certified Scrum Trainer (CST) will make you eligible for the CSM test. Who should take this Scrum Alliance CSM training course in Kolkata? If you are working as a Scrum Master, then the CSM course will improve your skills as a great Scrum Master. Who are the instructors/trainers for your CSM certification training in Kolkata? Our committed team of CSTs render training which meet the standard of excellence set out by the Scrum Alliance, making every candidate receive the same high-quality content irrespective of the trainer and location. They help you improve your ability and expertise which you need to make a difference in your organization. Where will the Certified Scrum Master workshop be held in Kolkata? Pride plaza New Town Terminus, B.G-12, Action Area I, 1-B, Rajarhat, Kolkata, West Bengal 700156. Monotel 2, DM Block, Sector V, Salt Lake City, Kolkata, West Bengal 700091. PanAsia 41/1 F, Sarat Bose Rd, Opposite Laxmi Narayan Temple, Paddapukur, Bhowanipore, Kolkata, West Bengal 700020 . The preference made by the individuals, available trainers, etc act as the deciding factor for the final location. Make a choice and become one of the deciding factors to attain the industry-recognized credential! No, CSM exam cannot be taken without attending an in-person training from a Certified Scrum Trainer (CST). CSM exam is not a substitute for formal training. No. Certified membership of Scum Alliance is for those individuals who have completed the CSM course. Is your 2 days of training at Kolkata sufficient to clear the Scrum Master certification exam? It is preferable that before attending the Certified Scrum Master training, you should know the basics of Scrum. You can add to your knowledge with the information available on the Scrum Alliance website. This will help you in clearing the Scrum Master Certification exam easily. Once you are done with the CSM course, you will receive an email from Scrum Alliance including a link to create your login credentials. After receiving your membership email, you have 90 days left to take and complete the test. Our trainers with years of experience as a Scrum Master, deliver interactive training programme with crystal-clear, and updated course materials to make you understand the concepts fully and clear your CSM exam without facing any issues. Which education background should I come from in order to become a Scrum Master? One need not require a specific background to become a Scrum Master. People with Scrum Master skills can come from any field. What is the eligibility criteria for the CSM® certification exam? The eligibility to attend the CSM® certification exam is to attend a 2-day CSM® training course taught by our Certified Scrum Trainers (CST®). Certified ScrumMaster® exam is an open-book exam and easy to clear. CSM training includes activities-based sessions that help you in gaining comprehensive knowledge on Scrum and its implementation. The Certified ScrumMaster exam is an online test containing 50 questions. You are given 1-hour to accomplish the CSM test and obtain your CSM certification. One important note to keep in mind is that you are allowed to take the exam only after successful completion of the course. How much does the Certified Scrum Master certification exam cost in Kolkata? Yes, you may take the CSM exam again if you have failed the exam. As per the Scrum Alliance guidelines, you have 2 attempts to attend the exam within 90 days at no cost. You will be charged a minimum of $25 for each attempt once it exceeds 90 days. Also, it is recommended to retake the course if you failed the exam for the third time. The accreditation body of Certified ScrumMaster course is Scrum Alliance and its exam fee is non-refundable. How long does it take to receive CSM exam results? Once you complete the 50 questions in 60 minutes and click on the submit button, you can see your score at once. Scrum Alliance announced CSM as the first professional certification for the Scrum Masters. The Scrum Master facilitates project success, by assisting the Scrum team in using appropriate processes and implementing Agile principles during project execution. Agile project management has gained acceptance across many industries, and the Scrum master is an important leadership role in agile development. This course will let you learn all the roles and responsibilities of a Scrum Master and how to implement these in a variety of environments. CSM is the most popular Scrum certification for Scrum Masters. Scrum Alliance is the global accreditation body of Certified Scrum Master certification. The popularity for CSM has increased considerably from the last decade as Scrum is implemented not only in IT sectors but also in non-IT sectors. 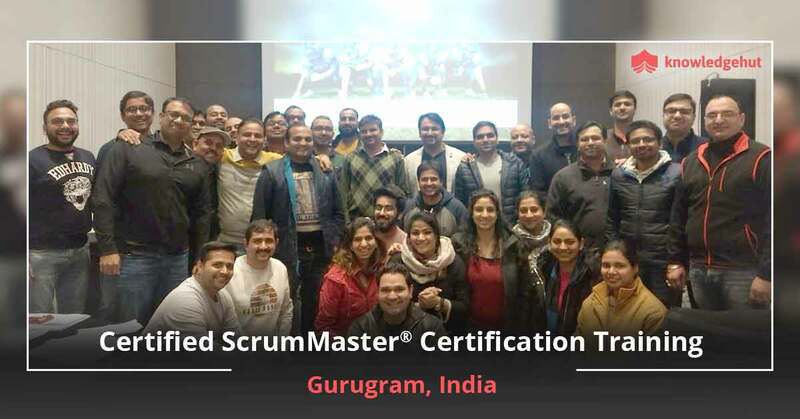 If your organization is implementing the Scrum framework in the organization, it is a good opportunity for you to gain Certified Scrum Master credential. Who offers the CSM certification in Kolkata? You will receive the certification from Scrum Alliance, the CSM accreditation body, designating you as a Certified ScrumMaster®. What is the average salary of a Certified ScrumMaster® Professional in Kolkata? According to Payscale report, the average salary for a Certified Scrummaster (CSM) in Kolkata is Rs. 368,209 per year. The salary of the Certified Scrum Master depends on the varying size of the organization, number of years of experience you have as a Scrum Master, skills-set you gained, certifications you earned, and the structure of the organization. The skills-set such as Agile, Agile Software Development, ScrumMaster, Project Management, Scrum, Business Analysis will increase your salary. 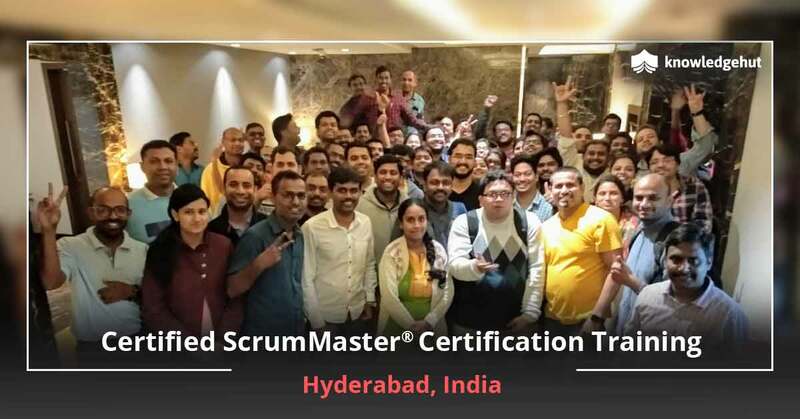 As a Certified ScrumMaster, you can take on roles like Software Engineer, Product Manager, Project Manager, Team Leader, Business Analyst, Development team member, Testers etc. and the designations an individual can play in the organizations are Business Analyst, Lead Software, Engineer, Project Manager, Information Technology, Staff Scrum Master, Delivery Lead, Agile, Scrum Master, Technical Program Manager, Senior Project Manager, Agile Coach, QA Automation Engineer, Software Project Lead, etc. The CSM certification renewal process includes the payment of $100 from the current date if certificate expiration. This process needs to be done every 2 years. In order to renew your ScrumMaster certification, log in to https://www.scrumalliance.org/login, go to the Dashboard, and choose the ‘Renew Certification’ option available under the heading ‘Actions’. Keep a note that starting from February 4, 2019, you will be required to earn 20 Scrum Educational Units (SEUs) within the past two years, in addition to the $100 renewal fee that has to be paid. To validate your participation and continued proficiency in the fundamental principles and practices of Scrum, this update has made necessary. You can earn remaining SEUs by completing an educational training or learning opportunity. PDUs and SEUs are Professional Development Units and Scrum Educational Units, issued by the Project Management Institute and Scrum Alliance, respectively. Both provide a way of continuing education in order to achieve or maintain certifications from these organizations. You can earn a specific number of SEUs every 2-years to maintain your certification from Scrum Alliance. With more than 20 years of experience in product development, Jimi Fosdick, holding CST, PMP, ACP certifications has worked in a wide range of organizations, including publishing, software, advertising, financial services and the public sector. As a Certified Scrum Trainer and Project Management Professional (PMP), he conducts wildly popular, interactive, “full-immersion” public and private Agile and Scrum training workshops around the world each year, helping organizations surface dysfunction and improve processes through Scrum and Agile practices. Since becoming a Certified Scrum Trainer in 2008, Jimi has mentored and trained more than 2000 Scrum Masters and Product Owners to achieve the qualification and his public and private workshop participants have a 100% pass rate on both the Scrum Alliance Certified Scrum Master exam and PMI’s Agile Certified Practitioner exam. Jimi also uses his expertise and time to lead large-scale Agile transformations at the world’s leading companies. My name is Vijay Bandaru and I am an Indian. I live in Hyderabad city of Telangana state with my wife and two kids. Our world is so small but heavily filled with emotions, competitions, games, and politics. I believe in “United we stand, divided we fall” and “It’s easy to pull down but not easy to build up”. So collaboration and knowledge sharing are the key to success and to create an environment where people can have a win-win situation. Collaborative culture should be developed top to bottom in the organizations to enjoy the success and make it long lasting. I always work towards that direction and I also encourage and support the people whom I work the same way. The core values that I follow in personal and professional life all the time are: Honesty, Transparency, Positive Thinking, Validated Learning, Share and Care, Receptive. I started my agile journey in 2009 and played product owner, Scrum Master and Developer roles in various projects/products I have worked with. I thoroughly understand the challenges in these roles. I was fortunate to be part of a large-scale agile transformation in a product based organization using LeSS framework. I have gained great experience as an Agile Coach during this transformation. I helped few organizations to transform into Agile. 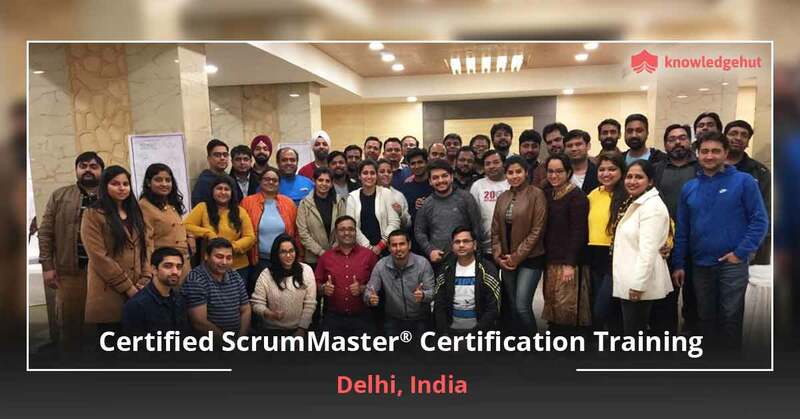 TheCertified Scrum Master training in Kolkata is a great workshop that will provide immense benefits to Project Managers, Developers, Product Owners and other team members and leaders who want to lead Scrum/Agile projects. 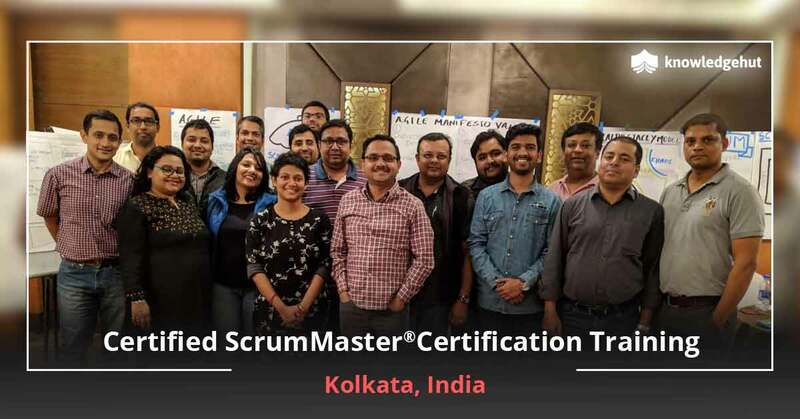 This intensive 2 day CSM training in Kolkata is all one needs to be a successful Scrum Master and gain the globally renowned CSM certification in Kolkata that will set them apart from their peers and showcase their talents and expertise in the field of Scrum. Enrol in the CSM training in Kolkata now and get the benefits of coaching from Certified Scrum Trainers, complete courseware and a tutorial that is split into easily understandable modules. You will also receive other benefits from the CSM certification training in Kolkata such as 14 PDUs and 16 PDUs, Scrum Alliance approved course material, 2-year membership with Scrum Alliance and experience working with Scrum tools and activities. These days Scrum is not only used for software development but sales and marketing as well, giving these industries also similar benefits irrespective of the sector. Everybody wants constant development and long term profit and in order to get that scrum is the answer. In order to learn scrum you need to go through the CSM course in Kolkata and clear the exam with success. Once you pass the paper you will get the license to practice scrum anywhere you want to. The CSM certification cost in Kolkata will be a part of your workshop fee. Every organization is looking for ScrumMasters because they know the benefits of having a ScrumMaster. So break the grounds of being a typical manager and instead be a ScrumMaster. You can be everything that organizations look for. You can lead an agile transformation in your organization, create a highly motivated and successful team and ensure that your customers are happy with the end products that you give them, thus earning their loyalty and meeting organizational objectives. We are providing you the best professional trainers you can ever have who will teach you the concepts of Scrum through hands on exercises. Within 2 days you will have a deep understanding of scrum. Stop doing whatever you were doing and register with us today. Remember that the Certified Scrum Master certification cost in Kolkata will cover your exam fee for the first two attempts.